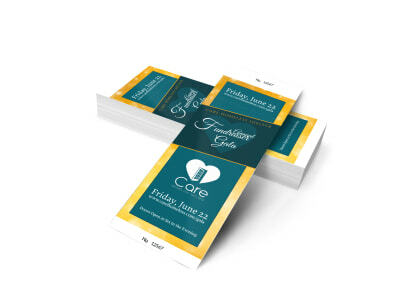 Give your hospital or clinic’s upcoming fundraiser or conference a personalized feel by creating customized tickets for the event. The foundation’s annual gala or cancer survivor’s retreat will benefit from the special effort you take to produce a fab finished product. We offer a variety of templates and an easy-to-use online editor that lets you customize everything from colors and fonts to layout and graphics. Print the tickets yourself, or entrust that responsibility to us – we’ll get the job done!